Hetty is generally a pretty attentive boss. She looks out for her employees when they’re in harm’s way. She tries to give them all the tools they need to stay safe, like when she instructs Deeks to further his professional development in “Enemy Within.” And of course there’s her unwritten rule that while NCIS agents work hard, they must always play safe, refraining from unnecessary risks while off the clock. Some of her questionable Season 5 comments might be explained in the context of this mindset. For example, when she tells Nate in “Impact” that she doesn’t want Deeks back “if he’s not the man he was,” she could be acting to protect the rest of the team; a Deeks who’s not functioning at 100% would put them all at greater risk. And being a part of Hetty’s adopted family is not without risk, for the family business is a dangerous one. Hetty’s priority isn’t the lives of her agents, or even innocent bystanders- it’s accomplishing the mission. 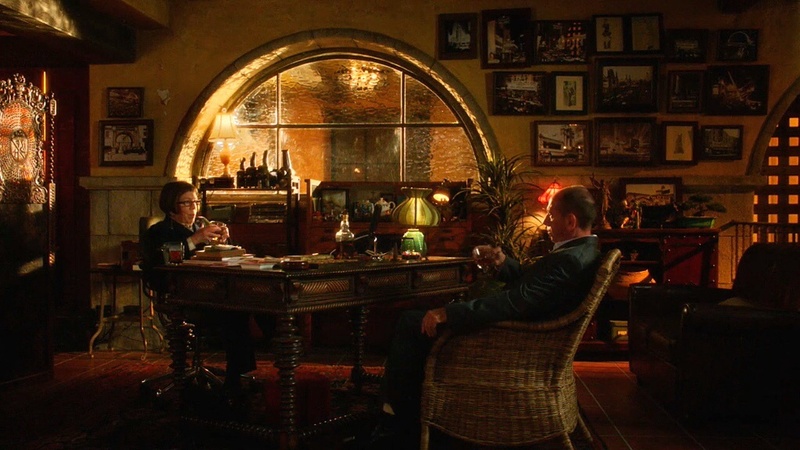 For example in “The Frozen Lake,” Deeks tells Hetty about his plan to find the missing Gurkha. When he explains how the last LAPD officer who infiltrated the Armenian mob was killed, her reply is simply, “You need a suit.” In “Tuhon” we see her refer to Tuhon as “a friend” whom she’s delighted to see again. Nevertheless, early in the episode, when Sam questions what they should do if Tujon is guilty of a recent assassination, she instructs them to “Act accordingly.” She’s completely prepared to neutralize him despite their past. Hetty’s team understands they could be killed doing their job, as Sam and Deeks nearly are at the start of Season 5. 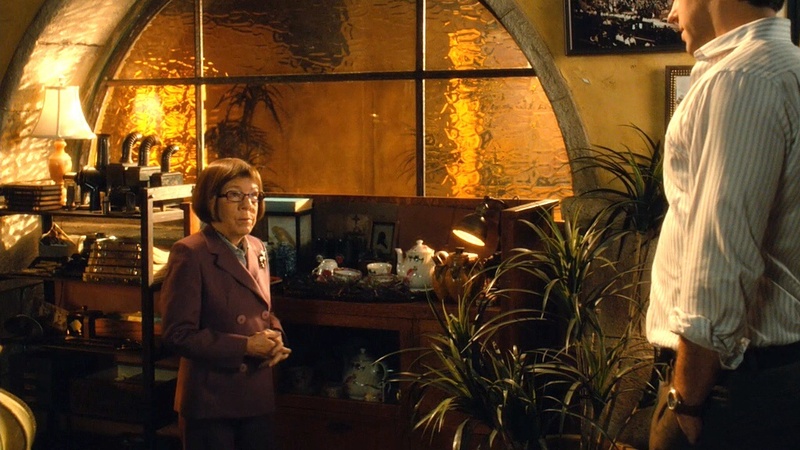 After they are taken, mission-focused Hetty stresses to Callen the need to control his emotions, as it’s “the only way to recover the bombs.” She and Granger then make the call to force the two men to stay undercover despite their trauma in order to complete the mission. 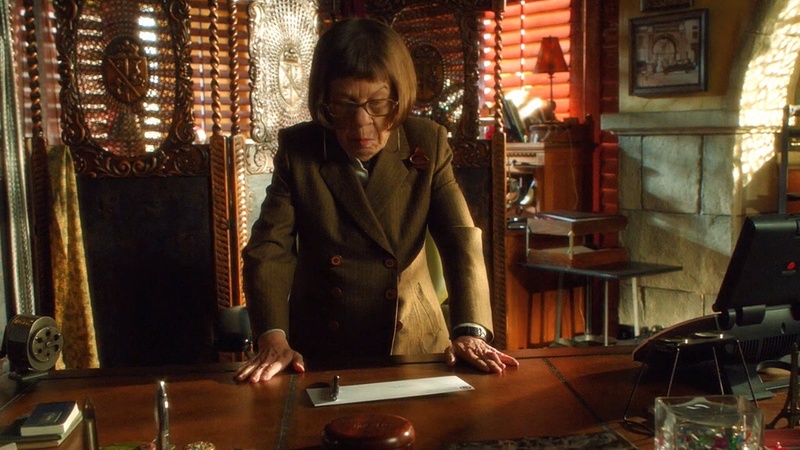 In this NCIS: Los Angeles universe where the world needs to be saved on a weekly basis, the person in charge has to make tough calls, and Hetty is a cold-blooded boss who understands that. Hetty has lived an amazing life, and there’s no doubt she’s had to fight incredibly hard to achieve all that she has. Working in a male-dominated profession, and being so physically small, can’t have been easy. She has likely been confounding expectations all her life. So it’s no wonder she seems to enjoy using her power- she’s earned it. Any time a new law enforcement officer enters the picture, just look at the pleasure she takes in reminding them she knows their boss: Talia the DEA agent in “Fish Out of Water,” adulterous FBI Agent Frisbee in “Archangel,” and even LAPD Detective Deeks in “Hand to Hand” (“Ruben says ‘Hi’”). Hetty doesn’t simply use her power in direct ways; she is also a master manipulator. This “tea-sipping Svengali,” as Lieutenant Bates calls her, doesn’t hesitate to withhold information or misdirect when it suits her needs. 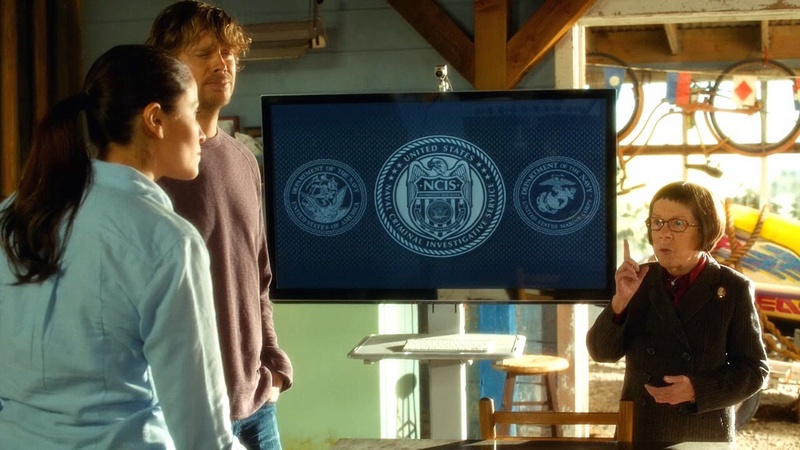 In “The Debt” she leads Kensi to believe Deeks has been fired. She waits years until events force her to reveal to Callen that she knew his mother, and she does the same with Kensi, never telling her that she knew her ex-fiancé. Hetty loves a good chess reference and appears to see her agents as pawns in the larger game she plays against the bad guys. In one example (in “Paper Soldiers”) she tells Nate, “Don’t you underestimate the value of a pawn. He’s a soldier.” She then forces the poor man to interrogate his sometime girlfriend Rose, later apologizing with the gift of a chess set. Most disastrously in Season 5, by sending Kensi to Afghanistan without sharing crucial intelligence on the White Ghost, Hetty leaves Kensi, and ultimately the team, at great risk. It’s not yet clear what she hoped to gain with this approach. And during the rescue mission, might she have been trying to manipulate Deeks into torturing information out of the cleric by telling him about, and then showing him, the photo of Kensi? Hetty: I never promised you that it wouldn’t [happen]. Hunter: Doesn’t make you guilt free. Hunter: Gives you something to cling onto though. Hetty: A slippery rock in a rising tide… I feel like I’m drowning. Hetty tries to assuage her guilt, sometimes in quite dramatic ways. For example, she rushes off to Romania in “Familia” in a desperate, nearly suicidal effort “to make amends,” to make up for the fact that she failed to protect Callen’s mother. She likely knew Jack for longer than six years. Might she have worked with him in Iraq and felt responsible for his PTSD? This could have motivated her to try to save him at the expense of Kensi’s mental health and physical safety. Then there are the resignations. Plural. She’s used the same letter of resignation three times, first in 1999 when she lost Agent Sullivan. In “Hunted,” after Dom’s death, she pencils in a new date and gives it to Director Vance saying, “I’ve suffered a lot of losses over the years, Leon, we all have. But the loss of one of my agents I cannot withstand. Agent Sullivan was my first and I swore, my last. But swearing seems to have proven a hollow gesture and I’m left with no choice.” Despite her angst, by the end of the episode Callen has talked her out of resigning relatively easily. Is it because she doesn’t want to abandon him and the rest of the team, or because she doesn’t want to step away from the game? She uses the letter a third time in “Sans Voir Part 2” as part of a charade to catch the bad guys, but she tellingly returns it to her desk when she comes back to work. Its significance to her is unclear; perhaps it’s a reminder of those she’s lost, or a talisman of things to come. 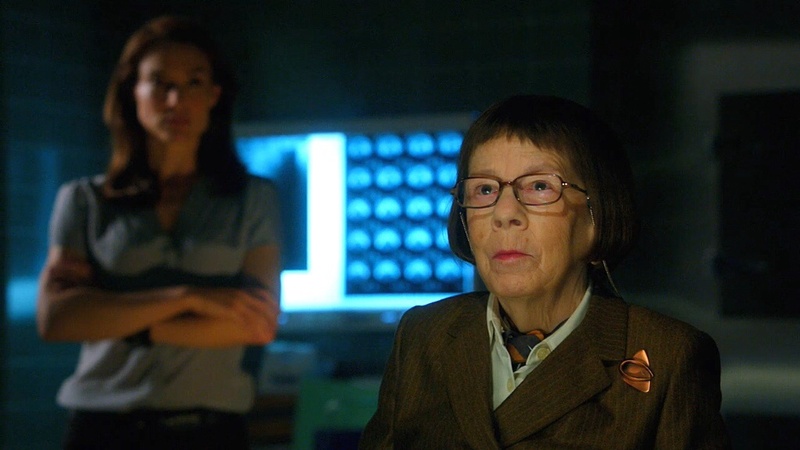 Other than in “Spoils of War,” we have not seen Season 5 Hetty showing much remorse, despite the fact that two of her agents were tortured and nearly killed at the start of the season. Has she grown callous to their suffering, or have we just not been privy to her feelings? Maybe the feelings of drowning she expressed in “Sans Voir” have reoccurred. Seeing Deeks, whom she seems to love just as much as Hunter, in such pain has to have torn at her, particularly if she takes responsibility for involving Janvier. Maybe Hetty just can’t bear the guilt and, in denial about how much he’s suffering in “Impact,” nearly bullies him into feeling better. Maybe her over-protectiveness in “Unwritten Rule” is her trying to make up for failing to protect him earlier. Is it a noble thing to sacrifice a child for the greater good, to pay the price with blood, as Tuhon described it? Or is there something monstrous in that action? If it’s the latter, would it be better or worse if Hetty were simply as unfeeling as Granger? Might there be some crocodile tears behind her remorse and failed resignations? Will her latest series of manipulations with Jack, which put the whole team at risk, be a turning point for her leadership? Would her actions be interpreted differently if she were a man? These are questions for each individual viewer to decide. Henrietta Lange is easily one of the most complex and interesting characters on TV. There’s clearly room for debate about her true nature, so tell us your thoughts below! Special thanks to PhillyDi and Sweet Lu for reviewing an earlier draft of this article. Their feedback, as always, is appreciated. Great job, love your views. Thanks again. Great depth of insight. It definitely helped frame a holistic picture of Hetty & her decisions vs individual instances that I personally tend to see in an isolated fashion. I hope this doesn’t serve as Hetty’s farewell to the team who need her at their core to function as both professionals and people. (But to me, she still has plenty of explaining to do for this season!) Good job on pulling all the research together from diverse episodes, Karen! The whole article is fantastic and so well-researched! I particularly liked your analysis of why the team members function with blinders on to some extent. Very good points about the different reasons for Hetty’s ability to maintain authority over them. Again, another brilliant analysis and conclusions. I found myself nodding in agreement with your observations. I do think that we have not been privy to Hetty’s private moments. I believe that she cares deeply for her agents and they have become family. Hetty may come across as cold-blooded but I truly believe that she has had to make the difficult decisions along the way and each one has taken its toll as evidenced by her multiple resignations. And your observation that the team is quick to forgive also leads me to this same conclusion. You have a way of getting to the heart of things and your in-depth look at Hetty is no different. She is a complex character as you’ve shown, and controversial as well, not easy to understand or know. She shows us the dark side of what being in the spy business does to a person and the type of person that can do it well and survive, although undoubtedly changed by the experience. She adds that clandestine layer to the show and I for one would miss her greatly if she were to leave. I can’t imagine the show without her. Thank you, Di for sharing your insight on one of the most well drawn characters on television. 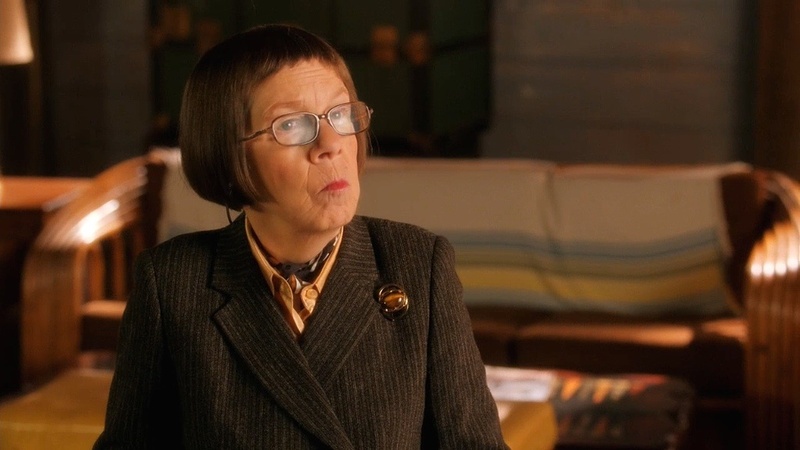 Please don’t leave, Linda Hunt. It would not be the same without you. Thanks everyone for your lovely comments. I have to say that I have been very disappointed in Season 5 Hetty, and set out to write this in order to try to make some sense out of her behavior. I am still left pretty bitter, and definitely not feeling the same about her as I used to. I can only hope that we’ll get some additional explanation before season’s end. And I’m open to forgiving her, just as I did Sam at the start of this season. I agree that the show wouldn’t be the same without her. And Reader 1976, credit for all the fantastic photos goes to DeeksFreak- thanks Colleen!